According to a report out of VentureBeat, the Galaxy Note 8 won’t be the only thing Samsung shows off at its upcoming August 23 event in New York City. Besides the new flagship device, we’ll also get a new wearable, detailed to be the Gear Fit2 Pro, as well as a backward-compatible Gear VR headset. Speaking purely about the reported Gear Fit2 Pro, this wearable is a followup to the Gear Fit 2, bringing a few new features to those who rely on fitness trackers. The big change is said to be 5 ATM support (5 atmospheres), meaning water resistance at up to a depth of roughly 150 feet. With this, folks can take their Gear Fit2 Pro for a swim, tracking all of their breast and backstrokes. The Gear Fit 2, from last year, featured IP68, not quite designed for swimming activities. 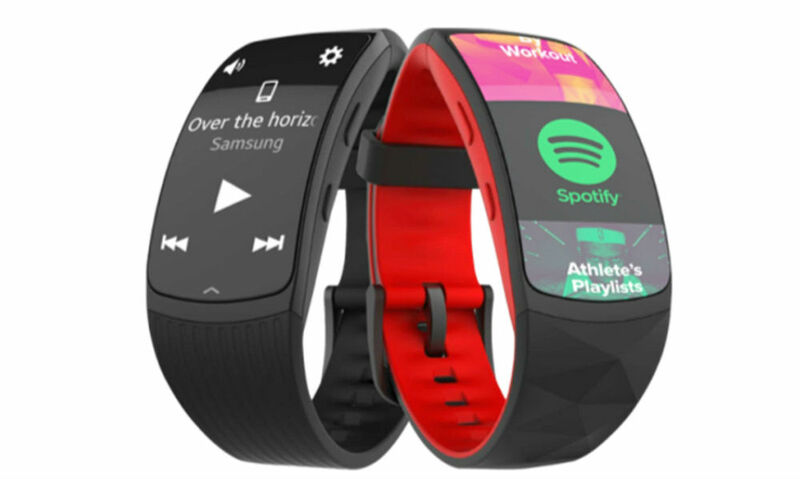 On top of 5 ATM support, the Gear Fit2 Pro is reported to offer offline playback for Spotify. That means you can head out for a run with connected Bluetooth earbuds, and still rock out to your favorite Spotify playlist. Kellen will be in NYC to cover all of the August 23 excitement, so we’ll make sure he grabs all the info he can on Samsung’s upcoming goodies. Guys, the Saygus V2 Supposedly "Passed the FCC"